Who used the camera lucida? Imagine living in the days before photography was invented. How would you accurately depict scenes from life? What if you were a scientist or an archeologist or an explorer? How would you document your discoveries? These artists and scientists used the camera lucida to make accurate drawings of their world, from animal specimens to undiscovered ruins, in a time when drawing was one of the only ways to communicate visual information. 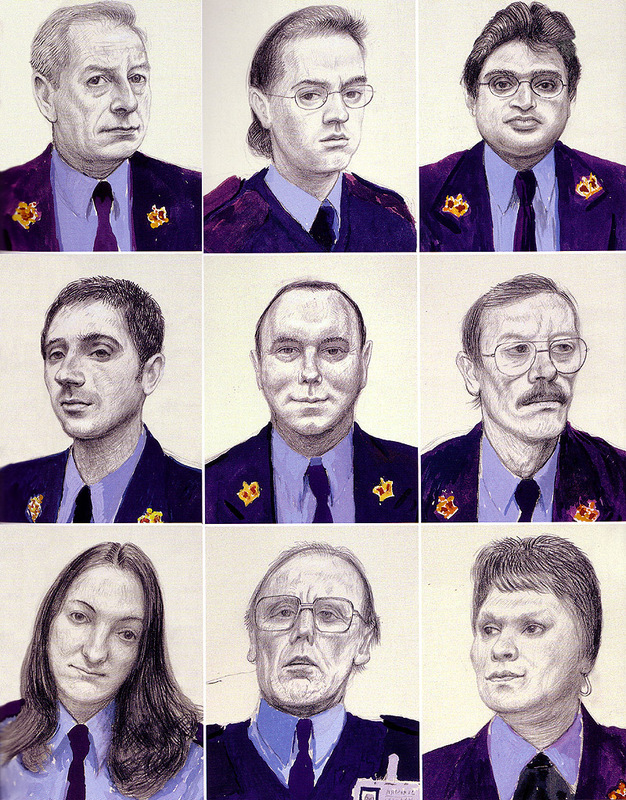 In 2000, artist David Hockney riled the art establishment when he published “Secret Knowledge: Rediscovering the Lost Techniques of the Old Masters”. Curators and historians bristled at the suggestion that the great masters of western art “cheated” by using optical technologies in making their masterpieces. Hockney approached this topic as an artist. While supported by scientific and scholarly evidence, Hockney wanted to draw and paint like the old masters, to see through their eyes (and through the devices they used). After seeing Ingres’ drawings in a museum, Hockney purchased a vintage camera lucida and tried it out. He drew portraits of his friends, getting comfortable with the magical but challenging tool. He practiced more and more, using his observations and experience as the cornerstone for his growing thesis. Working with optical scientist Charles Falco, the Hockney-Falco thesis inspired new conversations about the intertwined relationship between art and technology. The NeoLucida wouldn’t exist without Hockney and Falco’s work. This book inspired me to find a vintage camera lucida on eBay and try it out myself. Hockney’s art-first approach—using the tool, testing the idea through drawing—was an invitation to try it and join him in this exploration of art history. It was when I had conversations with fellow artists about ways to get more people to join us in trying the tool that the idea of manufacturing a new camera lucida became the NeoLucida. A side-note about “cheating”: I was surprised to find how many people accused Hockney of maligning the great western artists by suggesting they used tools to draw. To me, the Hockney-Falco thesis wasn’t about “unmasking the secrets” to reduce artist’s accomplishments. The thesis elevates the artists to new heights, suggesting their hinger for experimentation, for their technical prowess in inventing or recognizing an invention’s potential to contribute to their artmaking. Using these tools is only cheating if, in your nearly divine reverence for these artists’ masterworks, you declare these works superhuman and unattainable by any mere mortal. They weren’t only heroically talented. They were also insanely clever and resourceful humans. Skeptical scholars point out that there is no primary evidence to prove that artists like Ingres used devices like the camera lucida. 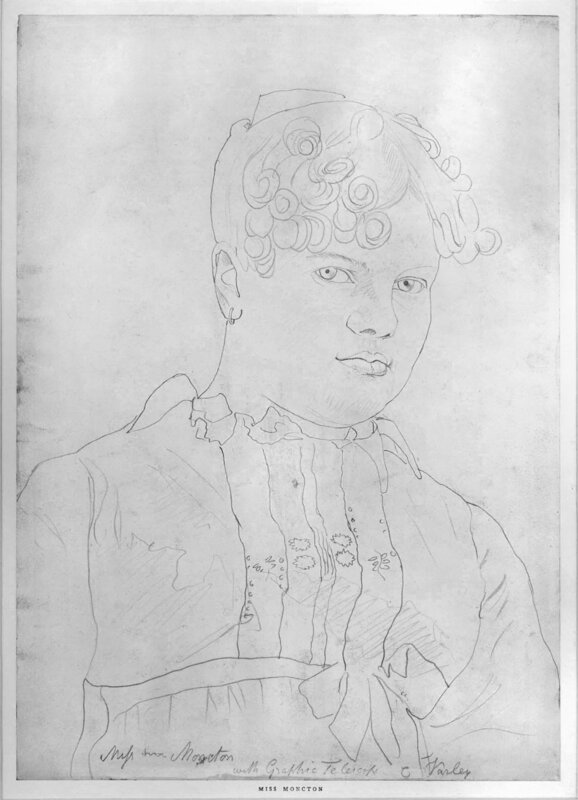 If Ingres used an optical drawing tool—their argument goes—subjects sitting for portraits would have written about it in letters or other ephemera. It would be obvious he was using optical tools. Ingres is, without question, one history’s great draftsmen and the subject of a lot of reverence and superhero worship. Did he use a camera lucida? If so, how could he “hide this secret” and “get away with it”? And does this mean he’s a cheater? Maybe people who reject ideas about artists using drawing technology misunderstand the artist’s working relationship with their drawing technology. 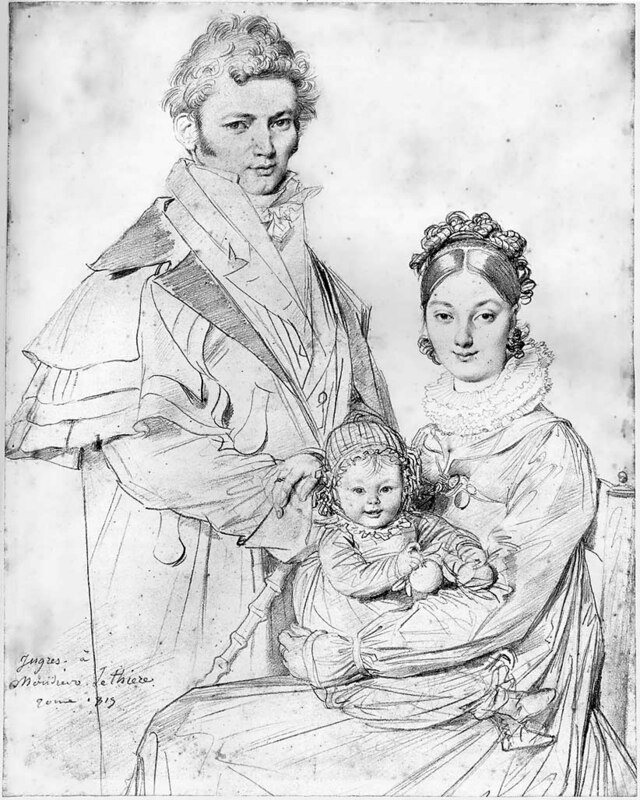 Imagine Ingres drawing a portrait. He sets up the camera lucida: a compact, delicate brass instrument clamped to his drawing table. He looks in, makes a few marks to get proportions correct, then looks up at his subject, then to his paper to draw. He occasionally looks down into the camera lucida to check his lines and work on other areas. Ingres likely knew what you will know after experience with the NeoLucida: it isn’t paradoxical to say that optical tools are both indispensable and hardly used. The more you use it, the less you use it. Portrait of Mrs. John Mackie, by Jean-Auguste-Dominique Ingres, 1816. Let’s say this drawing took an hour to complete. How much of that time did Ingres use his camera lucida? Maybe five minutes? It’s impossible to know for sure. Using a camera lucida for nearly 15 years tells me that skilled artists like Ingres would do most of a detailed drawing like this without optical aids. Astronomer, chemist, mathematician, inventor, early photographer. Sir John Herschel was one of the great minds of 19th century England. While being an all-round brilliant fellow, Herschel quietly created one of the finest portfolios of camera lucida drawings ever. In the face of his mammoth scientific accomplishments, his artistic skill is overlooked. Herschel took his camera lucida with him as he traveled for King and country in the pursuit of scientific excellence. He made stunning landscapes and city views across Europe and South Africa. Many of these drawings became finished engravings for publication, but many were personal sketches. Herschel, the skilled artist, would draw while on holiday with friends. In 1833, while in Italy with his good friend William Henry Fox Talbot, that he became witness and accomplice to the most revolutionary moment in imaging. Herschel set a high bar for camera lucida drawings. Talbot’s drawings lacked the artist’s touch. Talbot sought ways to fix the images in the camera lucida to paper, and Herschel was there to help. With Herschel’s counsel, Talbot invented a photographic process. Fun side note: the Herschel camera lucida drawings survive today because of a keen collector’s eye. Graham Nash (yes, that Graham Nash from Crosby, Stills, & Nash), on the advice of his friend Mac Holbert, wandered into an antique shop and bought dozens of these drawings. If you can’t make it to the Getty Museum, check out these two books on Herschel’s drawings. British Naval Officer Basil Hall was—as experienced seamen were at the time—incredibly well traveled. Unlike most sailors, he kept journals throughout his career providing first hand accounts of distant explorations. When Hall entered the Royal Navy (at age fourteen), his father, noted scientist Sir James Hall, said "Now, you are fairly afloat in the world; you must begin to write a journal." He put a blank book and pen into young Basil's hands. Capt. Hall took his father's words seriously and throughout his navy career published accounts of his scientific, exploratory, and diplomatic missions. "A Voyage of Discovery to the Western Coast of Corea and the Great Loo-Choo Island in the Japan Sea" (1818) was the first description of Korea by a European. It was quite popular, and it secured Hall a high reputation as an explorer, scientist, and author. During his naval career, he would publish several books of his adventures, including "Extracts from a Journal written on the Coasts of Chili, Peru, and Mexico, in the years 1820, 1821, and 1822" (1823). After retiring from service, Hall traveled to North America with a camera lucida and published accounts of his journey. The camera lucida provided the amateur draughtsman with an accurate way to depict the landscape, culture, and dress of the young America before the invention of photography. As an addendum to his three-volume "Travels in North America in the years 1827 and 1828" (1829), Hall published "Forty Etchings, from sketches made with the Camera Lucida, in North America, in 1827 and 1828" (1830). Forty of his camera lucida drawings and accompanying notes depict landscapes, city views, vernacular architecture, portraits of locals in regional dress, and even events like a forest fire. Hall's devotion to the camera lucida was all about scientific accuracy. In the preface before the American Etchings, he writes: "This valuable instrument ought, perhaps, to be more generally used by travellers than it now is; for it enables a person of ordinary diligence to make correct outlines of many foreign scenes, to which he might not have leisure, or adequate skill, to do justice in the common way." Perhaps the most famous example of a Camera Lucida used as a copying device is Audubon’s Royal Octavo Edition of “The Birds of America.” Originally produced as an enormous folio of hand-colored prints, Audubon’s son John W. spent several years using the Camera Lucida to reduce the large prints to octavo size (1/8th size) for a more affordable version of the avian catalog. 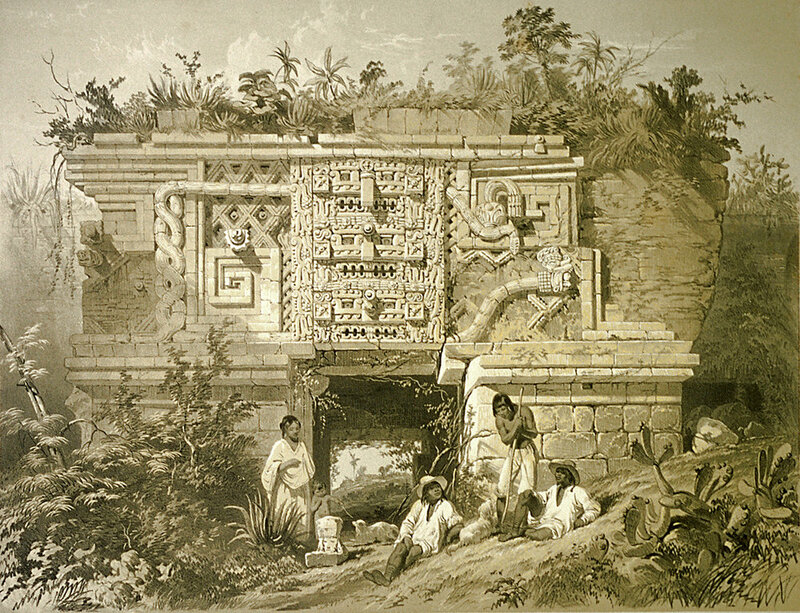 In 1839, Catherwood traveled to Mesoamerica with writer John Lloyd Stephens after reading accounts of Mayan ruins published several years earlier. 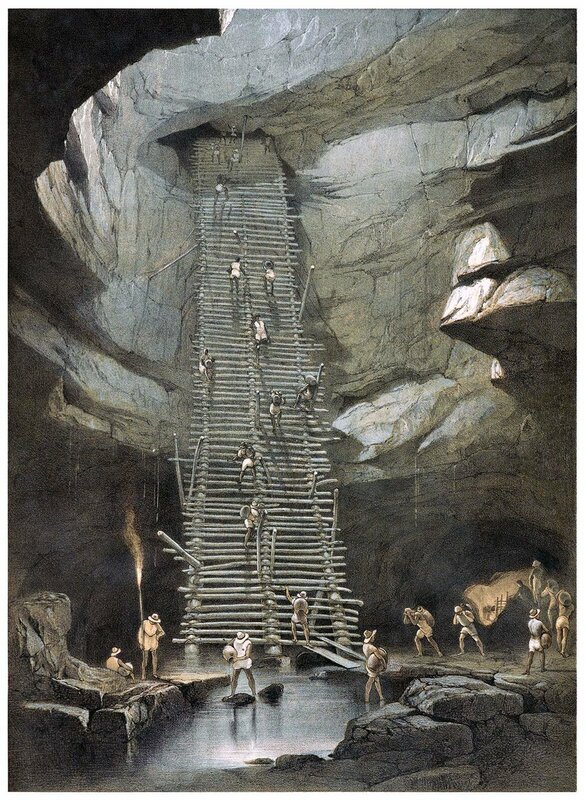 Catherwood was inspired by the verbal accounts of newly discovered archeological sites but, trained as an architect, sought more detailed visual evidence of the intricate carvings and structures. They published Incidents of Travel in Central America (1841) and Views of Ancient Monuments in Central America (1844) to great acclaim. Their travels, documented by Catherwood and his camera lucida and printed with fantastic detail, inspired new interest in Mayan culture and expeditions of Central America. Talbot set out to do something about this unfaithful method of rendering. He spent the next several years trying to chemically fix images to paper, the process we now call photography. He succeeded in 1835, making direct image prints of objects (what we would today call photograms) and lensed images of his surroundings at Lacock Abbey. In a nod to his use of the camera lucida and his frustration that spawned photography, he called his first photographic publication The Pencil of Nature. Gustave Caillebotte, Paris Street; Rainy Day (1877) on view at The Art Institute of Chicago. Gustave Caillebotte’s preparatory drawing for Paris Street; Rainy Day (1876-7), collection of The Art Institute of Chicago. View of Rue de Turin, Paris, with vintage camera lucida set up on the precise spot where Caillebotte made his preparatory drawing. To test whether Caillebotte used a camera lucida to make his Paris Street; Rainy Day drawing, The Art Institute of Chicago sent me to test aligning his drawing with the real scene, fairly unchanged in the last 140 years. In 2015, The Art Institute of Chicago asked me to look at a drawing. The museum had recently acquired a preparatory drawing for the jewel of the collection: Gustave Caillebotte’s Paris Street; Rainy Day. Some scholarship had suggested the possibility that Caillebotte, trained in naval architecture, had used various precision tools for his art. 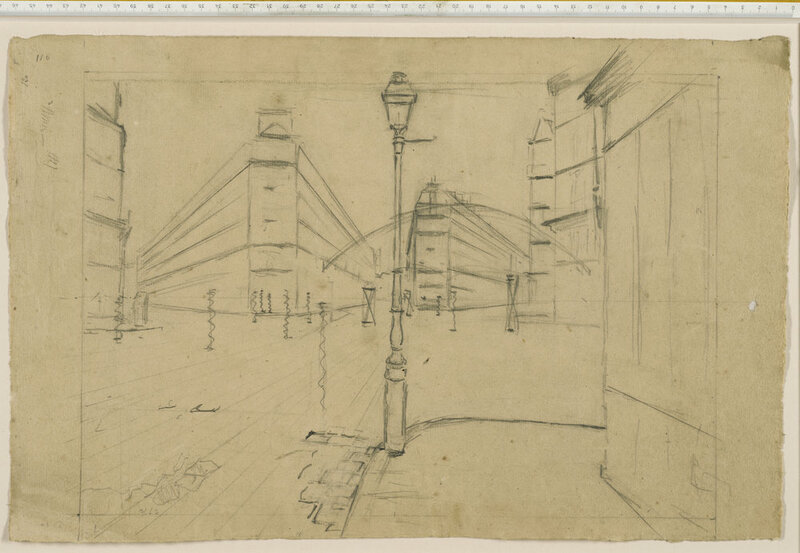 Curious to know if this preparatory drawing was the product of optical equipment, I went to Paris with some of my vintage camera lucidas in search of the same spot Caillebotte stood to make his drawing. Standing on Rue de Turin, I set up a portable table of my own making, and used a perfect copy of Caillebotte’s drawing as an underlay. By aligning the ghost image of the street with the drawing on my table, I was able to confirm that the geometry of the drawing matched the ghost image of the view. While this isn’t conclusive evidence, the optical alignment strongly suggests Caillebotte used a camera lucida to start his masterpiece. For full details on this work, and other deep dives into this magnificent painting, see the Art Institute of Chicago Online Scholarly Catalogue. St. Mary's Abbey, Beddington (1814). Made with Varley’s Patent Graphic Telescope with a magnification power of 5. Cornelius Varley, Portrait of Mrs. Moncton (date unknown). Not a particularly refined portrait, but an exemplar of traced line look of optically traced drawings. Cornelius Varley, Measured Drawing of Skull (1826). 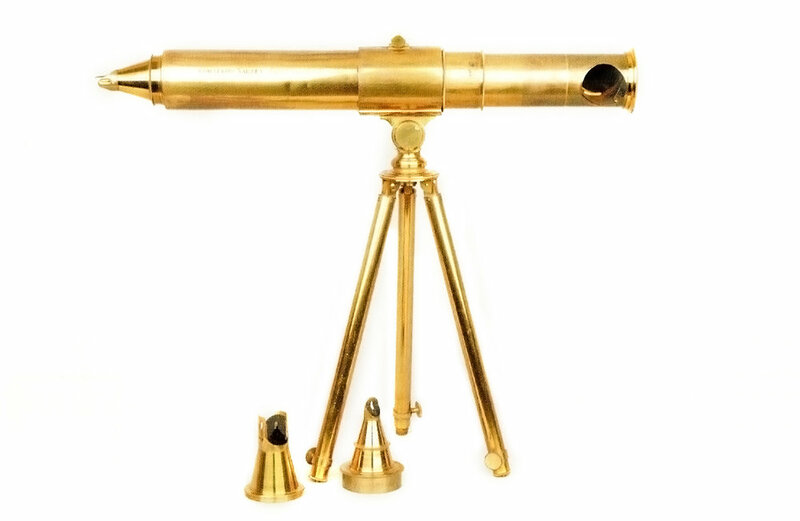 Made to demonstrate the Patent Graphic Telescope’s ability to execute precise, measured drawing. I feel a kinship with Cornelius Varley. An enthusiastic artist and draughtsman in his early years, he became a maker of drawing apparatuses. After an early life spent assisting his uncle, watchmaker and amateur scientist Samuel Varley, Cornelius began drawing alongside his brother, artist John Varley on extended journeys around England. After William Hyde Wollaston launched the camera lucida, the artist-scientist Varley developed his own version, calling it the Patent Graphic Telescope (PGT). Its form factor was different than the camera lucida, using an angled mirror eyepiece attached to a low-power astronomical telescope. The user looks down, splitting their vision on a small angled mirror. Part of your vision goes to your page, the other part goes into the telescope. At the other end of the telescope, a 45º mirror directs your vision out the side of the viewing tube, giving a second reflection to make your ghost image right-side-up and correct left-to-right. Patented in 1811, the PGT was not a particularly good camera lucida. It was bulky, heavy, and required a strong, sturdy table to stabilize it. But Varley was an enthusiastic salesman for his invention. Wollaston was primarily a chemist and made his reputation far away from his camera lucida invention. He was content to license his camera lucida patent to opticians and let them sell it. Varley was a tireless promoter of his invention. He had the habit of signing his drawings with an advertisement for his invention, inscribing his drawings “drawn by Cornelius Varley with his Graphic Telescope” or sometimes simply “P.G.T.” This becomes primary evidence for identifying drawings made with the optical aid and those made without. If you’re into conjecturing whether an artist used a camera lucida, it may be helpful to look at the Varley PGT drawings and those made before he invented the device. You can see telltale signs of tracing, certain strokes that reveal the method behind the drawing. What sets the PGT apart from other camera lucida’s was its myriad applications. Keen to hype the PGT’s utility, Varley applied his optics to all of nature, not just scenes of nature. Varley drew plant cells with his tool modified for microscopes. He drew anatomical structures and flower petals with measured precision. Varley added extension tubes to his Patent Graphic Telescope to make drawings of far away subjects (these pre-photography “telephoto” drawings’ proportions and view angles must have seemed unsettling to audiences unfamiliar with telescopic optics). His watercolor of St. Mary’s Abbey, Beddington (1815) is inscribed “Power of 5 in Patent Graphic Telescope”, marking this as one of the world’s first “telephoto” images, long before photographic camera optics would make this type of image common.